People get better by putting time and effort into understanding and practicing the components that are necessary to complete a task, job, or even a sport, like backpacking. I recently read an article by Tim Herrera in his NYTimes Smarter Living column that challenged my thinking about improving my long distance backpacking skills. Here’s the article: Just Working Harder Won’t Get You Ahead. Working Smarter Will. In sum, Herrera postultates about variables that affect skill levels in advanced performers. Herrera claims that the strongest predictor of skill wasn’t time spent practicing; rather, it was time spent in serious study. Unfortunately, Herrera draws on just one example- the “sport” of chess, as his example. In my experience hugely more productive to engage in the activities and practice the basic principles that bolster one’s chances of success than spend that equal time in serious study of backpacking books, websites, and videos. Backpacking and hiking are activities that should be as natural as waking up or going to sleep- after all, once we learn to walk as babies, life is just putting one foot in front of the other, right? Well, yes and no. Walking is easy until you turn your ankle and sprain it, or worse. It’s easy unless you find yourself off-trail in a unfamiliar area, or if you need to cross a raging stream that has the power to sweep your feet out from under you. Walking is no problem, until you are walking on ice slanted on an impossibly steep slope, or a bear rips into your backpack at night and absconds with your food. Experience trumps familiarity, which brings up another pitfall of trying to master a set of physical and mental skills by reading, listening to, or observing others engaged in the practice. You fall into the pit when you follow up unreliable advice that comes your way due to the ability of media to make a pitch look polished and professional when in fact it may even be uninformed ofreven false. For example, I attended a workshop in April 2010 in Southern California as I was starting my thru-hike of the Pacific Crest Trail dubbed ” the foot talk” where a former PCT-thru hiker told us anxious group of wanna-bees that blisters were inevitable. At the time, I had just switched to a pair of military issue desert boots that were supplied by New Balance that were loaded with mesh panels to dump moisture. I was fortunate to complete that hike blister free, as I have with any other long distance hike since then. Sure there were a few more things that I had learned bout taking care of my feet that I applied on my hikes, but the point is that experts don’t know what is best for you, and maybe not even themselves. I bought a new tent this year- a 12′ diameter tipi , with one 6’10” pole, that required serious study and practice to set up. I brought my new tent to Florida this past January where I was camping with my best friend Edward. I had watched two videos about setting the unit up as well as read the instruction sheet that accompanied the tent. I also read all the customer comments on the website about setting it up. I laughed when I read the comment about the poor guy who took 2 hours to set his tipi up the first time in an actual snowstorm. Would you believe that it also took Edward and me two hours to set up the tent, and that was in warm weather on perfectly flat ground ? The written instructions were confusing, and we ended up devising a much simpler method for doing the job right, getting the setup down to 10 minutes after two hours of actual engagement in the act of putting the thing up taught and secure. In Zen Body-Being, Peter Ralston writes about developing physical skills, power, and even grace. In 1978 Ralston became the first non-Asian ever to win the World Championship full-contact martial arts tournament held in the Republic of China. So, make 2018 the year you experience the outdoors and engage in hiking and backpacking more than you spend those same hours on screen while sitting on the couch. Set a goal to get out for many hours, where you might be blessed enough to be able to walk though rain, snow, wind, cold, and dark and have the realization that walking might just be putting one foot in front of the other, but it isn’t easy, and it doesn’t have to be done on blistered feet. In 2013, the 63-year-old Jamrog completed a 5-month long backpacking journey over the Rocky Mountains through New Mexico, Colorado, Wyoming, and Montana. 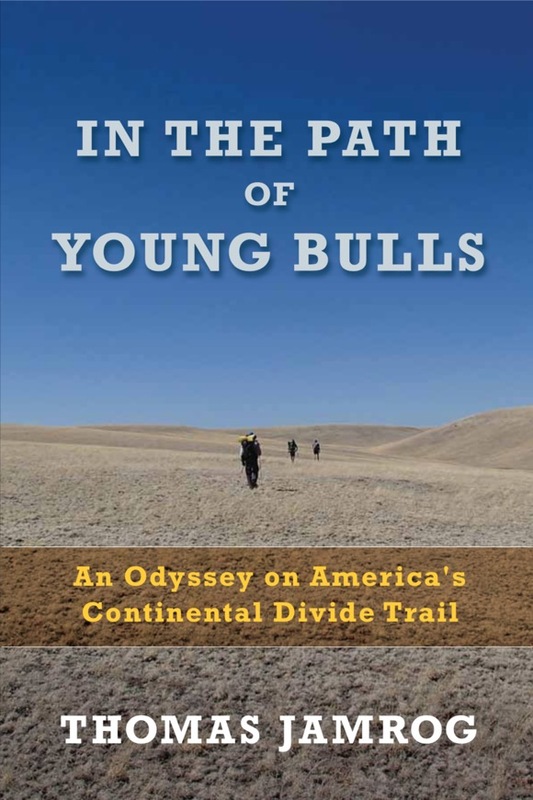 In the Path of Young Bulls is the story of that desolate, yet majestic 2,500-mile journey, an effort achieved in the company of hiking partners half his age. Tom wrote the initial manuscript of the book on an iPhone while hiking. The 267-page book features over 50 full-color photographs. Copies will be on sale via assistance of Camden’s Sherman’s Bookstore. The news broke this weekend. The returns policy change follows discouraging news from last week that LLBean is laying off 10 percent of its 5,000 employees and implementing other belt-tightening procedures. The measures, announced last February, started Jan. 1, with the aim of reducing its workforce by 500 full-time people. In 2017, Maine’s fifth largest employer took a political hit when one of the heirs and board member, Linda Bean, came under investigation by the Federal Election Commission for political donations that she made to the pro–Donald Trump organization Making America Great Again. “Trump’s message landed with the subtlety of a hand grenade. Suddenly, the brand had been hijacked, those tote bags now symbols of political partisanship. In an anti-Trump frenzy, longtime customers cut up their L.L. Bean credit cards, returned orders, and pledged allegiance on Facebook to competitors Patagonia and REI.”-via Boston Magazine ( 2/21/2017). At the same time that yesterday’s LLBean news arrived in my computer’s in-box, I received a pleasant surprise in my rural mailbox- a package from Patagonia that contained my 10 year old pair of tights with a sticker and a thank you note. I was pleasantly surprised at the level of service I obtained on my repair. I originally brought the tights back to the Patagonia Outlet (Freeport, Maine) where I bought them to see if they would repair a short leg zipper that allowed the tights to be put on and off while wearing shoes. The salesperson volunteered to send the garment into Patagonia in Reno, Nevada, where they would assess the damages and determine if the garment was able to be fixed. Not only did they put in a brand new zipper, they repaired an assorted 12 holes/tears that had accumulated over 10 years of year round use. I have always been a lifelong customer of LLBean, and have only used their return policy in a reasonable manner. I decry the abuses that the returns sales agents have had to endure, but I regret they have dropped the lifetime return for those of us who don’t abuse it. L.L. Bean’s foundation policy is strongly linked to its brand , so it remains to be seen whether this change will assist in improving the last two years of LLBean’s flat sales. Mr. Moore thru-hiked the Appalachian Trail in 2009. 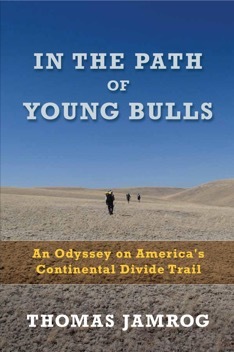 The 27 page Prologue focuses on that hike and leads to Moore’s interest in paths and trails in general. The 39 page Epilogue is a highly interesting report of the latter life habits ( both on and off trail ) of a legendary thru-hiker, M.J. Eberhart, better knows as Nimblewill Nomad. At the age of 60, Eberhard retires as an eye doctor specializing in cataract surgery and is reborn as The Nomad. He then hikes over 34,000 miles in 15 years and is still out there. Moore tracks The Nomad down and spends a few days hiking with him through Texas and shares those experiences along with direct quotes of Nomad philosophy with the reader. In between the Prologue and the Epilogue is Moore’s research on trails and paths, human, and animal in a scholarly, razor-like analysis of why movement matters, and what movement means. Moore is young guy who is already a a huge writer, who has won multiple awards for his nonfiction work. Thinking as a hiker, I found the whole book interesting, but the Prologue and Epilogue holds the best writing about long distance hiking and “hiker-trash” philosophy that this hiker has ever read.